When Rose Weinstein was accepted to the A. James Clark School of Engineering, she was thrilled—and also a little intimidated. While she excelled in science and math, her high school hadn’t offered the high-level courses such as physics and calculus that she knew other students would already have taken. "It was daunting to feel like I’d be starting at a disadvantage," says Weinstein. "But the Clark School has so many academic resources for students, and I found that I was part of a very collaborative, helpful culture." Weinstein also received notification that she had been awarded an A. James Clark Scholarship. "Reducing the financial burden through this scholarship made my college dream more accessible," she says. Weinstein found the support and encouragement she needed within the Department of Aerospace Engineering, and in turn she and several classmates founded the University of Maryland’s chapter of Women in Aeronautics and Astronautics (WIAA) to make even more students feel at home. "Because of the gender disparity, engineering can be intimidating for a lot of women,” says Weinstein. “The idea behind WIAA is to show everyone that there is a community that can help you to foster growth and help break down stereotypes in the industry." 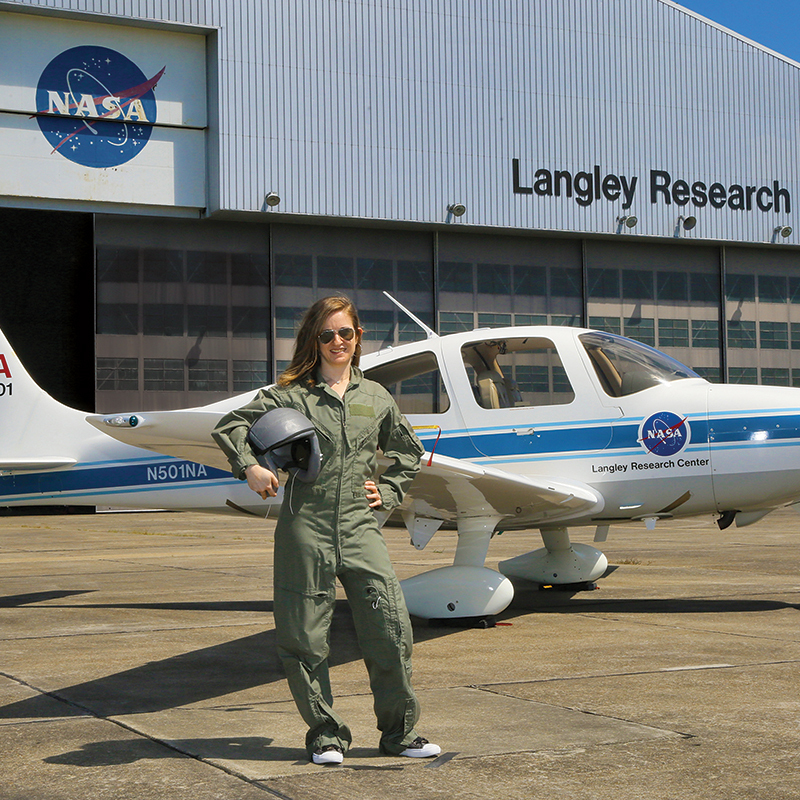 These days, Weinstein is an intern at the NASA Langley Research Center and a National Science Foundation Graduate Research Fellowship recipient. She also is in the second year of her master’s degree in aerospace engineering at UMD, taking courses remotely several times a week through the National Institute of Aerospace. "I am so grateful for the Clark School and everything it has allowed me to accomplish," says Weinstein.